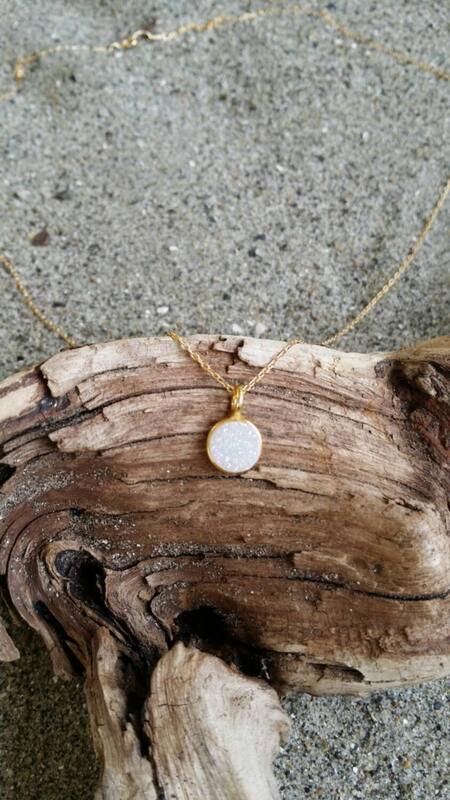 Tiny gold vermeil druzy pendant. 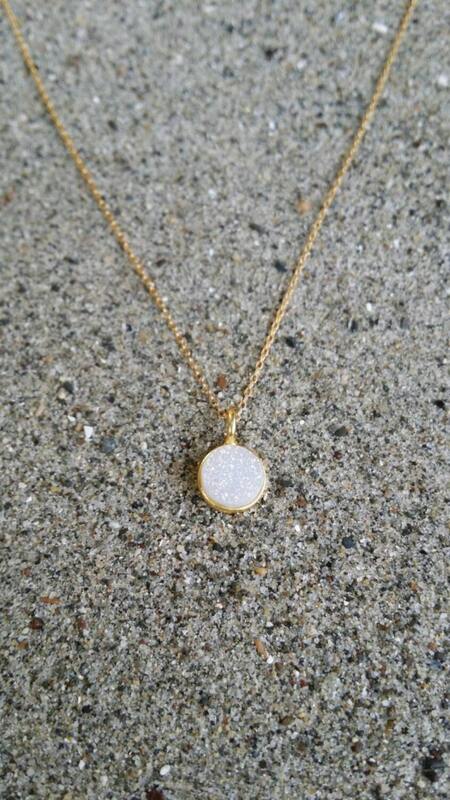 The gold bezel set druzy charm is a dainty 8mm with a shiny finish. 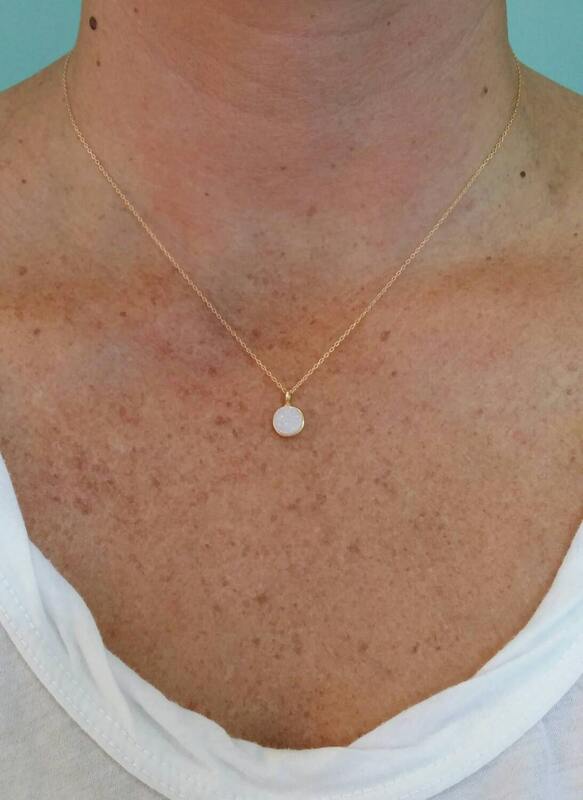 It has a delicate 14k gold fill chain and clasp. Shown here in 17" length. 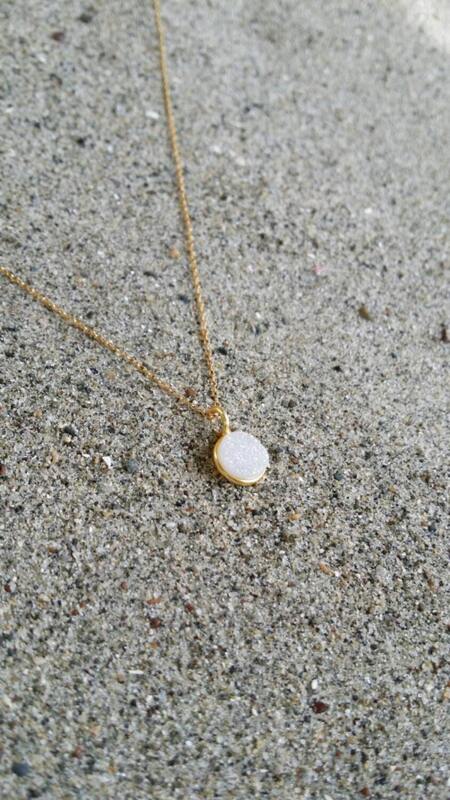 It has a natural raw crystal top with a smooth back. Absolutely charming!! 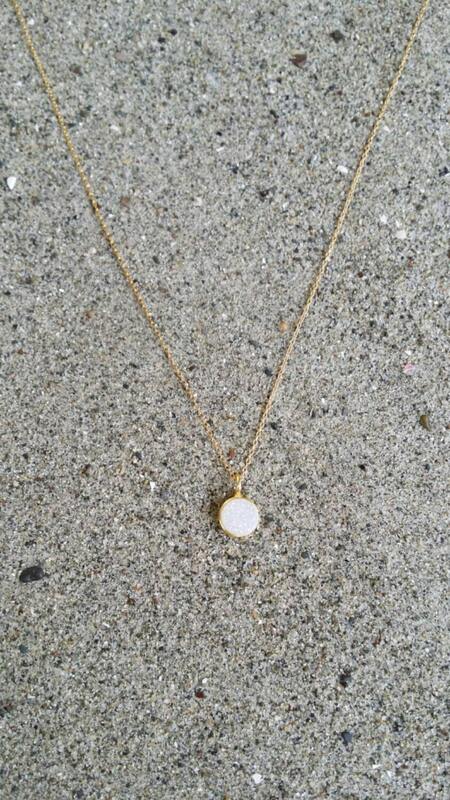 It's delicate & classy looking. My granddaughter will love it! !